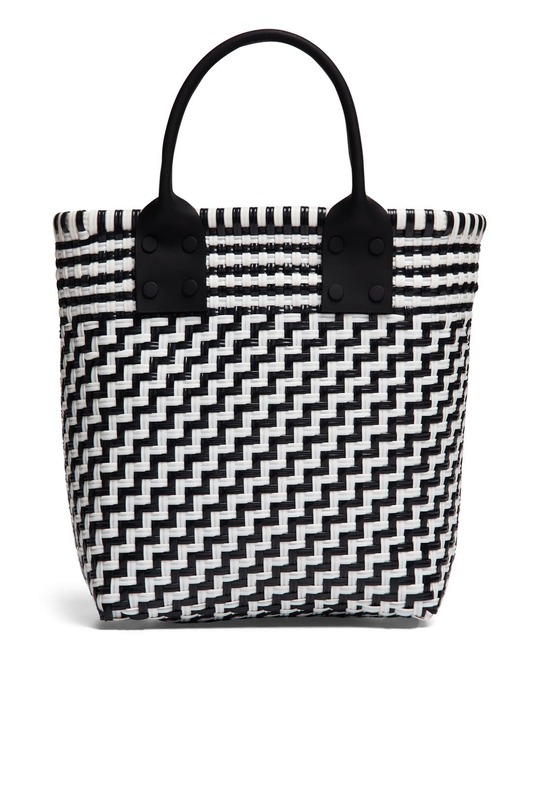 Handwoven in black and white, this structured TRUSS tote will be an instant hit. 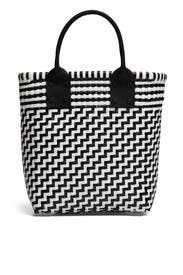 Black and white handwoven polypropene handbag with leather rolled handles. Waterproof. 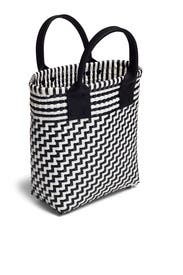 12.5"L x 10.75"H x 4.5"D.